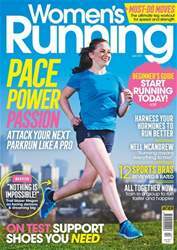 Start running the easy way with our top tips for beginners that will take the pain out of getting started. 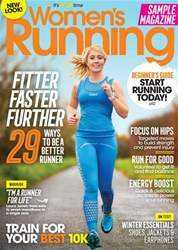 Our plan to get you running two miles non-stop in six weeks will boost your fitness and there's also a 5K training plan for beginners. 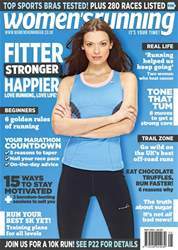 For those who want to improve their running, you could run your fastest ever 5K with our step by step plan and for those doing a marathon read our tips on how and when to taper, plus final words of marathon wisdom. 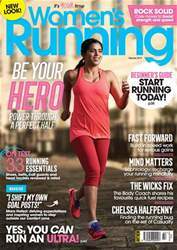 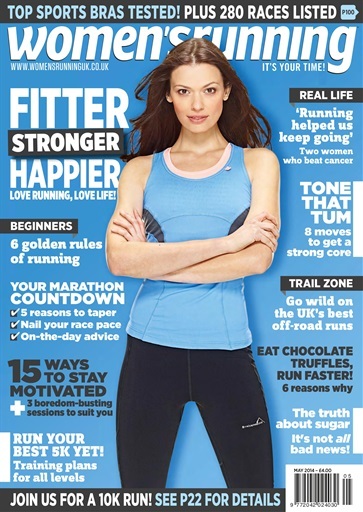 The issue also features a round up of the best half marathons plus the best trail races in the UK. 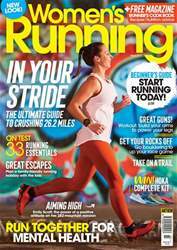 Finally, read the truth about sugar and its effects on your body and sign up for your next race courtesy of our extensive race listings section on page 100.